Let me start by congratulating Chief Executive Officer Tewolde and Ethiopian Airlines for the various awards Ethiopian Airlines has won this year. We take particular pride in Ethiopian Airlines and its achievements. It is not only an Ethiopian company but also an African one. Chairperson Moussa Faki Mahamat could unfortunately not join us today. He sends his best wishes to all those involved in the ongoing process between Ethiopia and Eritrea and to the people of the two countries. On his behalf and on behalf of the entire African Union family, I am honoured to address you on the occasion of the inaugural Ethiopian Airlines flight between Addis Ababa and Asmara, after more than twenty years of suspension. 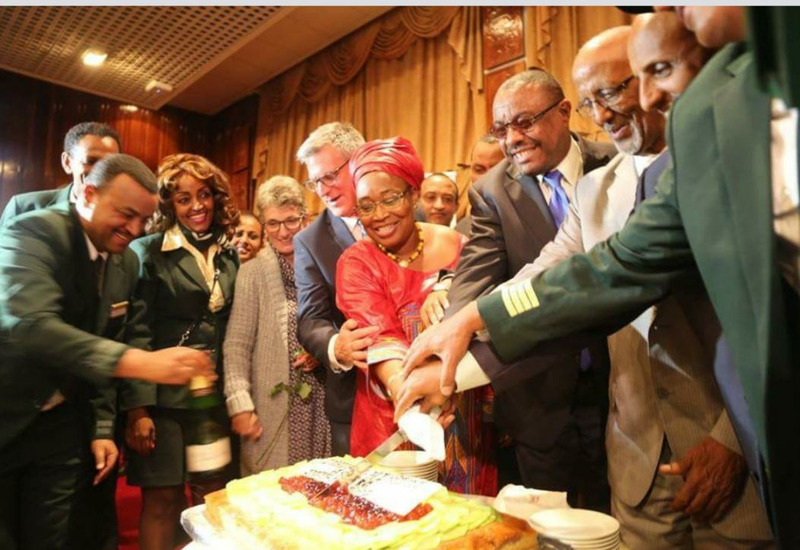 Africa and all peace-loving people around the world witnessed with utmost delight the recent developments in the relationship between Ethiopia and Eritrea. The historic nature of this process cannot be overemphasized. It has set Ethiopia and Eritrea on a new and promising path of sustainable reconciliation and closer cooperation for the benefit of their people. It will significantly enhance the prospects for peace, stability and development in the Horn of Africa region. It will go a long way in furthering continental priorities, as encapsulated in Agenda 2063 and other relevant African Union policies. (c) the Free Movement of Persons and the African Passport. Both Ethiopia and Eritrea are expected to play an important role in the realization of these initiatives. The resumption of flights and economic cooperation is a significant boost to African Union’s efforts to further integration for the benefit of African people. I wish to reiterate the African Union’s readiness to accompany Ethiopia and Eritrea, in whichever way possible, in their endeavour to build a shared future of peace, harmony and prosperity. On behalf of the Chairperson of the African Union Commission, I would like to seize this opportunity to applaud the leadership and courage of President Isaias Afwerki and Prime Minister Abiy Ahmed, as we look forward to similar bold initiatives in other conflict situations on the continent. Congratulations to the people of Ethiopia and Eritrea.